Storing a work of art is principally based on the perceived value of the artwork in question. In some cases the value may be great exaggerated if by a well known artist, and orders of magnitude beyond the actual value of the materials it was created with. Like other expensive but tricky to store collectibles we have looked at, particularly wine, the art possessions you have may be valuable enough to be stored in a dedicated facility for storing art, rather than in your typical storage unit space. This is where specialists will look after your art keeping it at the optimum atmospheric conditions in order to retain the quality of the materials. But how do you know how much your art is worth? Not surprisingly, there are companies who can provide the service of assessing how much your art collection would get if put up for sale or auction. That may help inform you whether you ought to go full tilt with dedicated art storage services, or whether you may be able to take care of the art yourself using a regular storage unit near you with advice that abounds on the internet or amongst fellow artists and art collectors. When you have an idea of the value of your artwork, the next vital step is to arrange insurance. Whilst a work of art is unique and irreplaceable, a financial loss is something that can be settled. But you must declare the value to your self storage facility who may be able to advise further. It is no coincidence that works of art are often made with materials that are set to last a long time under typical atmospheric conditions, such as you might find in an art gallery or at home. When in storage and not under a curator’s eye however, you need to ensure that conditions are apt – out of the way of light, comfortable room temperature, and a medium level of humidity are going to be required all year round. This means that keeping in a garage would be largely undesirable, not only through the changes of condition that are likely to occur all year round, but also the likelihood of dust settling over time or from other items introduced into the room. Beyond this you need to apply good principles to storing the art, and we laid some of these out in an earlier article. As well as keeping paintings wrapped and covered in suitable materials, they need to be placed in an arrangement that favours them not coming into contact with each other, let alone be knocked about if moved. You could see if you can get hold of a suitable rack to hold the paintings in, which will add a bit of safety and peace of mind. 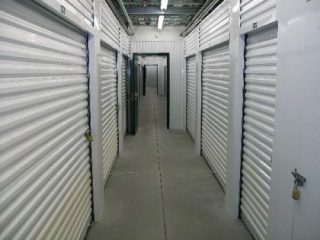 So essentially, it is largely a question of determining the value of what you have and then taking the relevant steps forward, with the end result usually being a specialist art storage facility for expensive items, but self storage (climate controlled of course) will suffice for the rest.